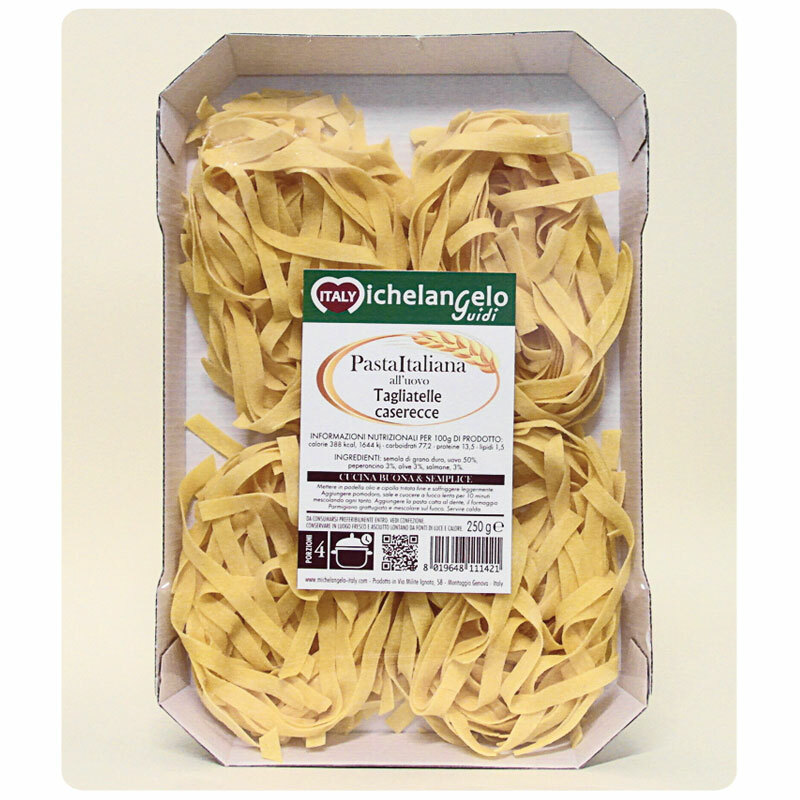 HOMEMADE EGG TAGLIATELLE (code 20.127) Retail - G.d.o. 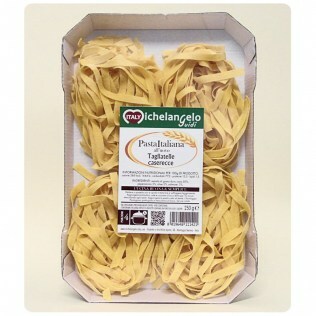 DESCRIPTION: Our homemade tagliatelle have an irregular cut and are particularly porous and rough; they cook in few minutes and absorb any type of sauce. To appreciate the real taste of this type of pasta we recommend to taste it before dressing it, in order to fully appreciate the quality of its ingredients. It can be dressed with many typical Italian sauces (vegetable sauce, mushrooms sauce, seafood sauce, etc.). All our dry pasta is made upholding the artisan tradition passed on by old master pasta-makers , which contributed to make the tradition of Italian pasta popular worldwide: drying at a very low temperature for highly prolonged periods of time, use of durum wheat flour of excellent quality.